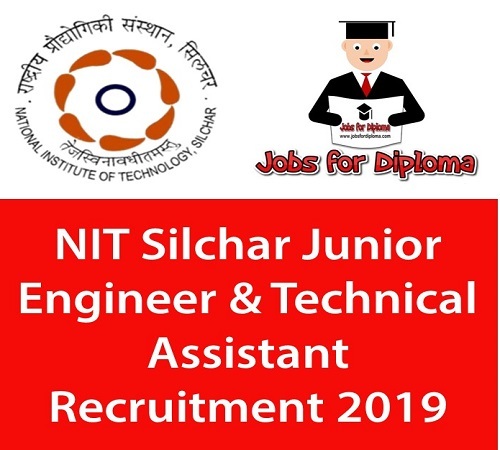 National Institute of Technology Silchar invites applications in prescribed format from Indian Nationals possessing consistently good academic record and requisite qualifications and experience for the following posts described below. INR 1,000.00 for General/OBC candidates &INR 500.00 for SC/ST/PWD candidates be paid directly to State Bank of India A/C No. – 10521277057, IFSC Code – SBIN0007061 of Director, NIT Silchar. The soft copy of the application should be sent to the following email id: nfap.nits@gmail.com on or before 15 days from the date of publication of this advertisement in Employment News. 14th April 2019 is the last date for submission of application form.